Time Off booking covers Holiday, Parental and Compassionate leave, custom leave types and Sick Days. Select 'Time Off' in the side navigation. 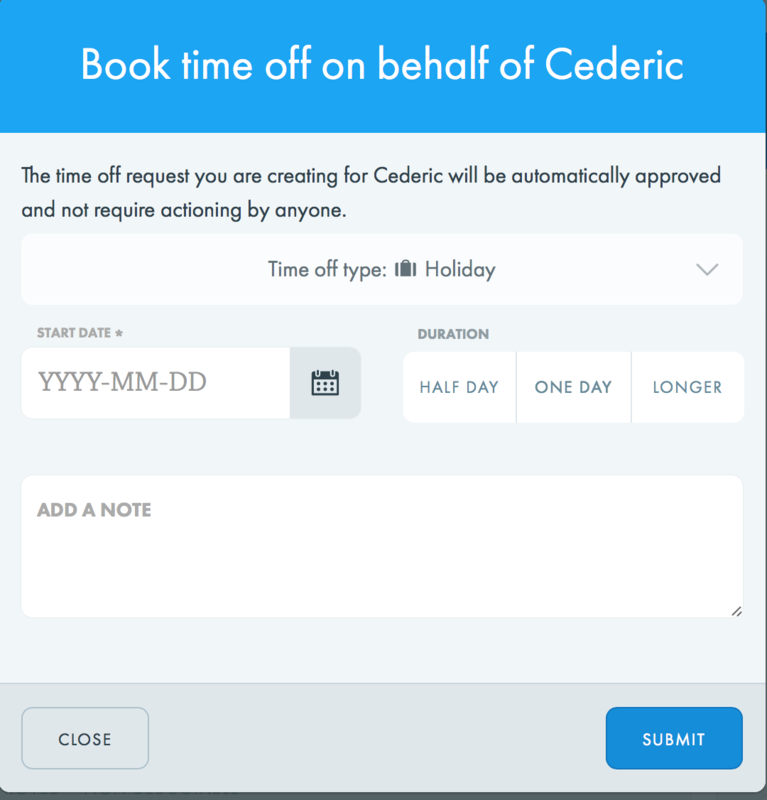 On the Time Off booking page, select the type of leave and dates you’d like off. Click on 'Review'. Here you can also see who the request will be approved by. Select 'Submit Request' to confirm. Your request will usually be sent to your Team Leader and you’ll receive a notification when it's been confirmed. If you’re a Team Lead, Admin or Super Admin, you can book leave on behalf of a Team Member. From their profile, select the Time Off option in the tab menu. Select the type of leave and dates. And you're done. By doing this on their behalf, the Time Off request is automatically approved.